Gathering together years of baking knowledge in their first-ever cake book, America's Test Kitchen offers a comprehensive collection of recipes for any cake you can imagine -- from better-than-the-rest yellow cake layers for birthday parties to fanciful creations and elegant holiday desserts. America's Test Kitchen (Firm), issuing body. 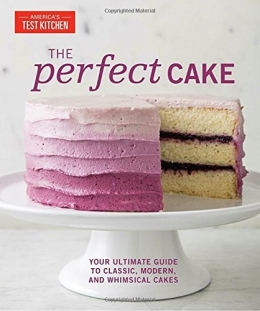 Welcome to America's Test Kitchen -- Getting started -- Classic layer cakes -- Cupcakes, cake pops, mug cakes & more -- Crowd-pleasing sheet cakes -- Sky-high cakes -- Elegant cakes & tortes -- Great American cakes -- Holiday cakes -- Snack cakes & rustic fruit cakes -- Pound cakes, bundt cakes & tube cakes -- Cheesecakes, icebox cakes & ice cream cakes.